Check out this limited-time show in Branson with one of the world's most recognizable music groups, The Village People, who will wow the crowds with their '70s disco style and well-known hits. This fun-filled show is not a tribute show - it's the real deal! 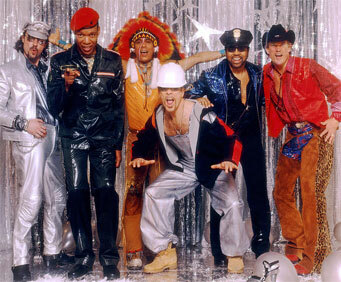 So get ready to join The Village People as they perform all of their incredible disco anthems, including "Y.M.C.A.," "Macho Man," "In the Navy," and "Can't Stop the Music." All six of the performers will be signing autographs and taking pictures in the lobby after the show, so make sure to stick around to meet this awesome group of performers! This six-man group has toured the world for over 30 years and is recognized worldwide for bringing good times with them wherever they go. The group will put on a family-friendly show, so make sure to load up the car and have a great time together with The Village People! Really awesome. Just like i remembered them when you first heard them. Had really good seats.